You are here: News / FGL & BSB Nominated for a Teen Choice Award! 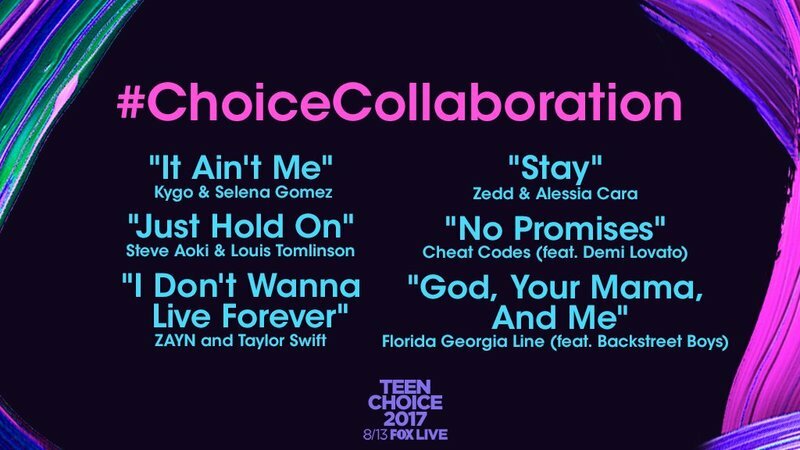 FGL & BSB Nominated for a Teen Choice Award! The boys are up for Choice Collaboration for 'God, Your Mama, and Me' with Florida Georgia Line! Voting for Wave 1 will be open until Thursday, June 22nd.